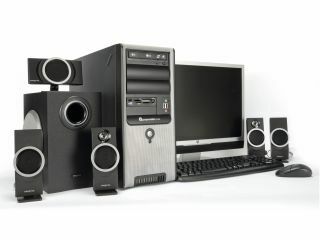 The PC market has grown by 21 per cent in Europe and the Middle East during the second quarter of 2010, with sales of both laptops and desktops recorded by IDC's latest figures. IDC suggests that the growth for the PC market has been solid – in line or slightly ahead or predictions – with businesses beginning to upgrade and consumers feeling confident in replacing their old systems. "While European economies remained challenged by a potential new wave of crisis across the eurozone…the PC market continued to deliver a robust performance in Western Europe," said Eszter Morvay, Research Manager for IDC's EMEA Personal Computing. "Mainstream notebook renewals continued to be the key engine of growth for the second consecutive quarter, while demand for mini notebooks slowed further, with volumes contracting in Western Europe," added Morvay. "With the renewal of a large notebook installed base having been put on hold for the past 12 months, many users are now looking at replacing their main platform. "This latest renewal cycle of primary PCs is also stimulating a revival of consumer desktop demand, supported by the attractive price/performance ratio of standard desktops as well as new appealing all-in-one systems." IDC puts the growth in desktops down to businesses beginning a new purchase cycle for businesses and the rise of sales of all-in-one PCs.